Late viking or Anglo-Norman horse bridle cheek pieces. 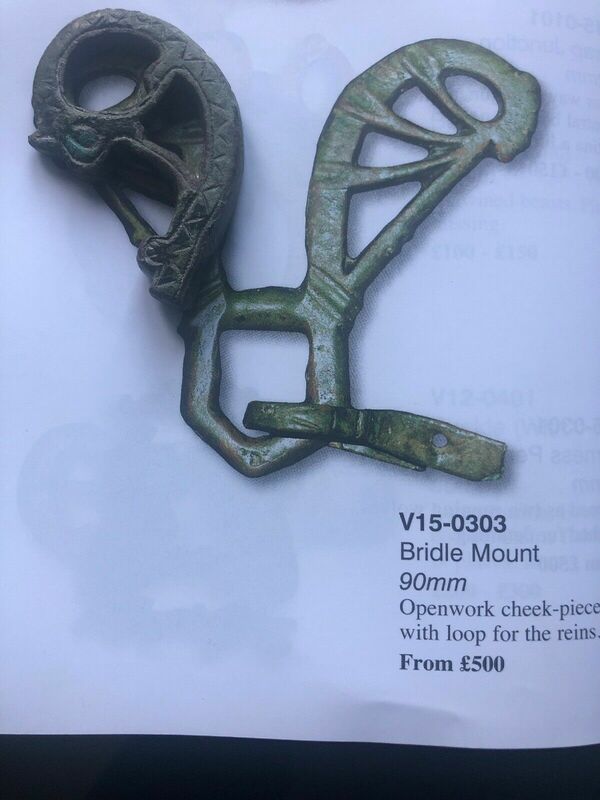 These two parts of a horse bridle cheek pieces as part from the adornment accompanying the bit in the slideshows are interesting. Stylistically, they belong to the very latest part of the Viking Age, though distinct elements direct them to be of Anglo-Norman origin, late 11th or first part of the 12th century. The more 'softened' curvy, floral depiction of the dragon and claw depicted in the roundel, alongside the almond shape eye are characteristics of the (very) Late Viking Age and Anglo-Norman period. One might say we can distinct here a transverse late Urnes-romanesque style here. 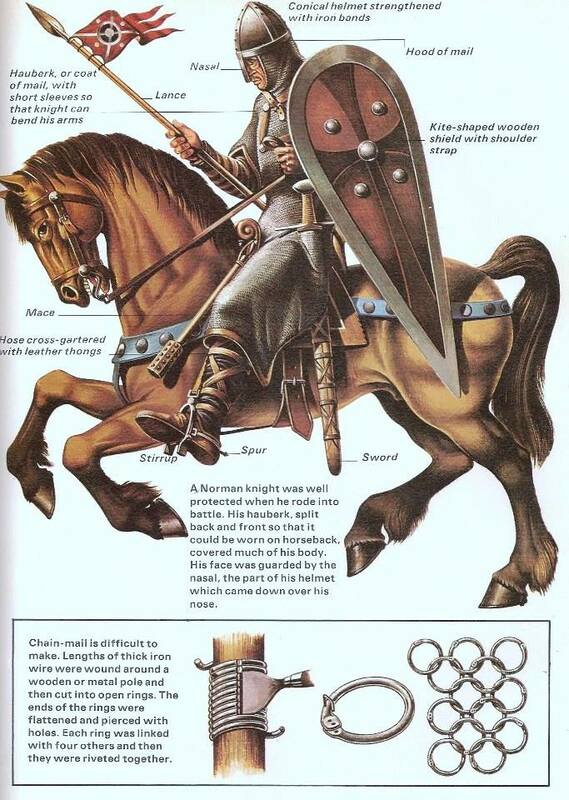 Both part having some roots of this late Viking art style, yet, stepping into the romanesque art style, the Normans brought with them from the continent and the Anglo-Normans further developing it in the following century. 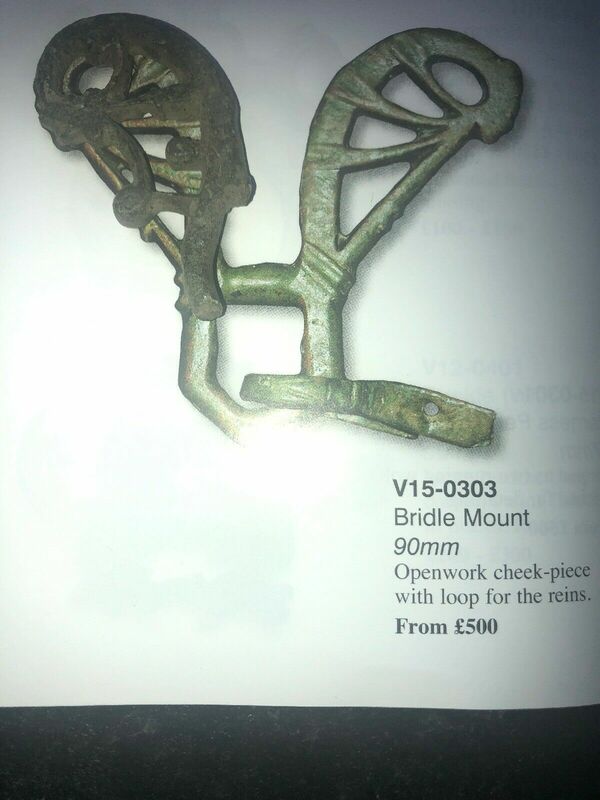 Once integral part of the bridle mount on both sides of the bit, they broke off, due to being delicate objects to the bridle and firm use, riding the horse. A cheek-piece on the outside of a bit (not to be confused with the leather or fibre strapping wich connects to the bit) fulfills the task of stopping a mouthpiece slipping in the horse's mouth, making the bit ineffective as a means of control. As such, it needs to have certain features, such as a suitable aperture to feed the connecting strapping through to construct the actual bridle, and some evidence that it was large enough to integrate with the mouthpiece. The left horse bridle cheeck piece part is 55mm long, 5.5 mm at its thickest point and weighs 39.93 grams. The horse bridele cheek piece part on the right 60 mm long, 5 mm at its thickest point and weighs 34.14 grams. 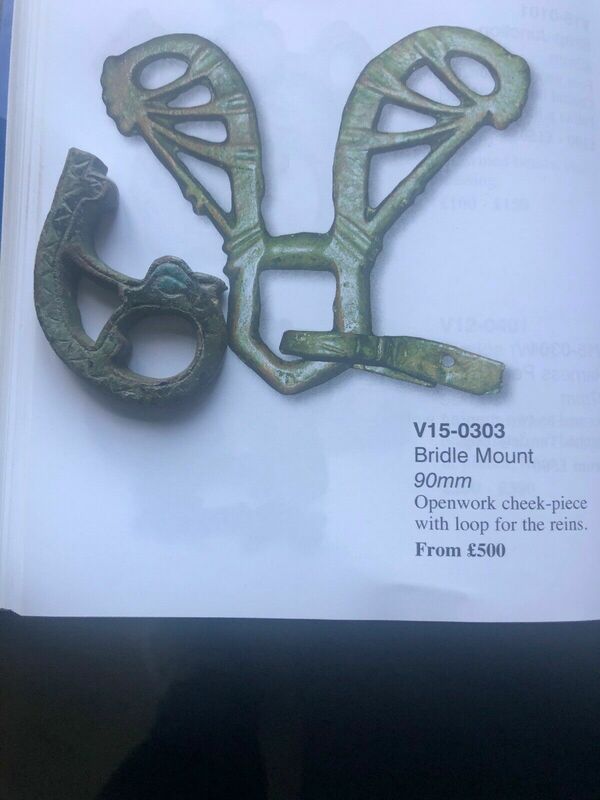 Horse bridle pieces are rare finds, let alone complete examples, as the example shown in the middle from Hunt museum, Limerick and the - unprovenanced - example shown in the slide shows as to illustrate how the part would have been attached originally. The two parts shown here, were found in the late eighties on the shores of Strangford Lough, Ireland. Between the 9th & 11th-centuries, Vikings were regular visitors to the lough, giving it the Norse name 'Strangfyorthe', meaning the place of strong currents or strong fjord. They were no doubt attracted to the area by the promise of rich plunder at the various monastic sites. However, they were not always a warring people, and there is evidence to suggest that many traded peacefully and even settled locally. 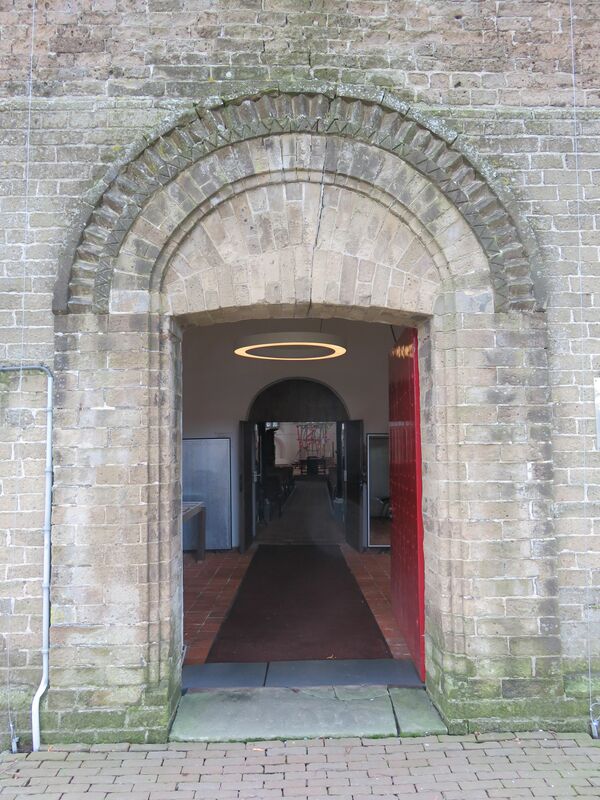 In 1177, John de Courcy and his Norman Knights invaded Downpatrick. The surrounding region was brought under Norman control by building a number of fortified mottes and founded the Cistercian monasteries of Inch Abbey (1180AD) and Grey Abbey (1193AD). Image above: Audley's Castle, overlooking Strangford Lough. When we take a closer look to the two horse cheeck pieces, we see some features who distinctively to an Anglo-Norman origin. On the left example, we see a zig-zag, chevron ornament, wich can be found on several type of items and Surfaces in Europe from the late 11th throughout the 12th century as being part of a romanesque stylistic element, wich the Normans brought with them when they invaded England and, later, Ireland. 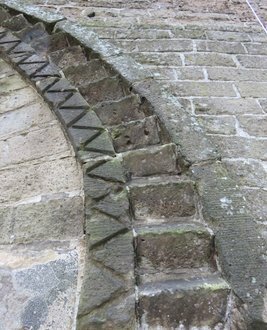 This chevron ornament can also be recognised in the - very basis - depiction of this motif on a church in Vries, in the provence of Drenthe in The Netherlands. 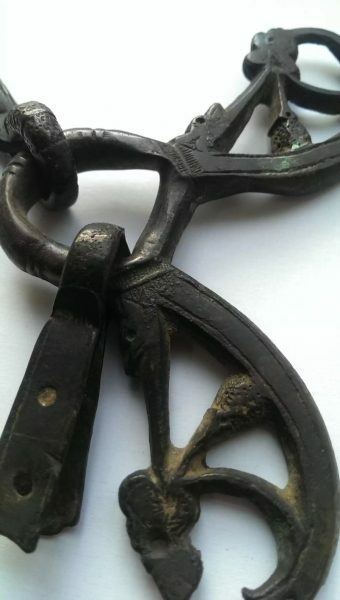 From the same provence is are two remarkable stirrup, found in Zwinderen, and dated app. 975 - 1100 AD. One of them has chevron ornament and some faces looking at us (as also known on ornamental work on romanesque churches). See images hereunder. The Drents museum in Assen, provence of Drenthe, The Netherlands.